Alpha Sigma Nu is proud to announce that the Magis Medal, first awarded during the Centennial year, is returning as an annual celebration of the Alpha Sigma Nu tenets. The Magis Medal will be awarded each year to two Alpha Sigma Nu members who best exemplify scholarship, loyalty, and service in their work to better the world. The Medal was founded as part of the Centennial celebration of Alpha Sigma Nu in 2015. 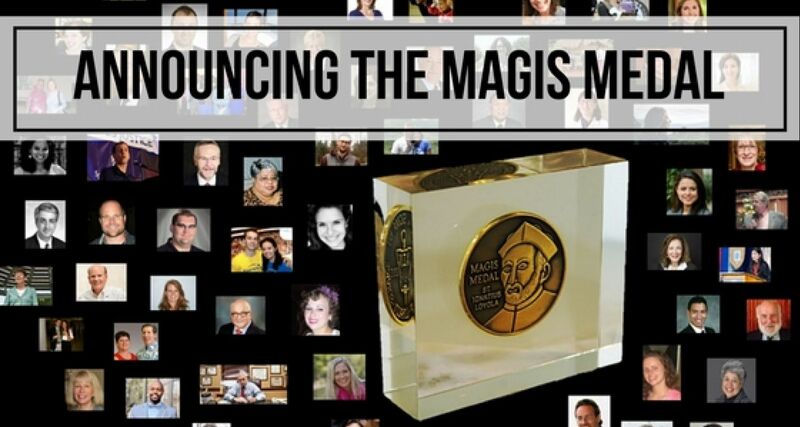 To honor the 100th anniversary of the Society, 100 members were awarded the Magis Medal. Learn more about the 100 winners! Through this annual award, Alpha Sigma Nu hopes to highlight the great work being done by members living their pledge out in the world after graduation and inspire new members to carry that flame with them as they begin their careers. Only members of Alpha Sigma Nu may submit nominations. Self-nominations are acceptable. The online submission form for nominating is simple - tell us who deserves this award and why. Nominations will be accepted through February 1, 2018.